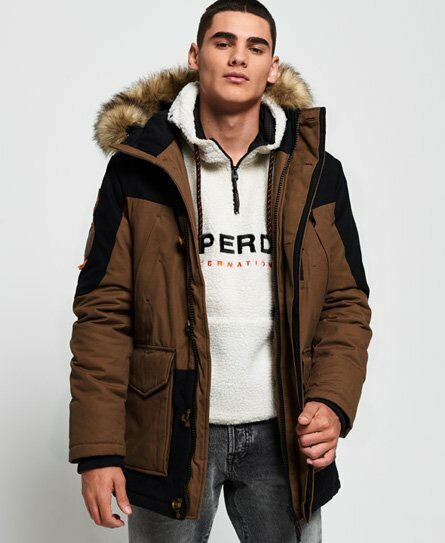 Superdry men’s wax edition Everest parka. An outwear essential that combines style and warmth, this hooded jacket features a detachable faux fur trim, zip and button fastening, ribbed cuffs and seven outer pockets. Inside, the quilted lining offers extra warmth and the internal pocket is perfect for keeping your keys and phone safe. Finished with a bungee cord adjustable waist for additional comfort and a Superdry logo badge on one sleeve, the wax edition Everest Parka is a timeless piece for your jacket collection.